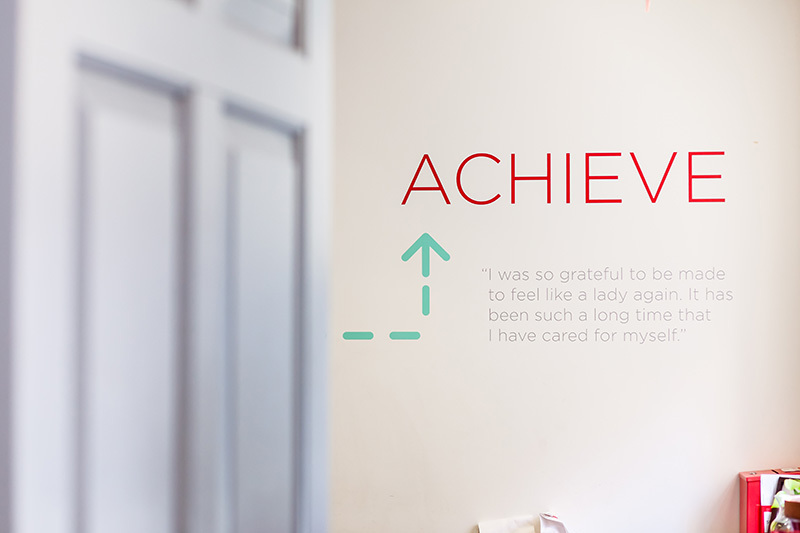 The Bottomless Closet experience is all about making women feel confident, prepared, and empowered to ace their job interviews, start that new job, and begin their journey to self-sufficiency. 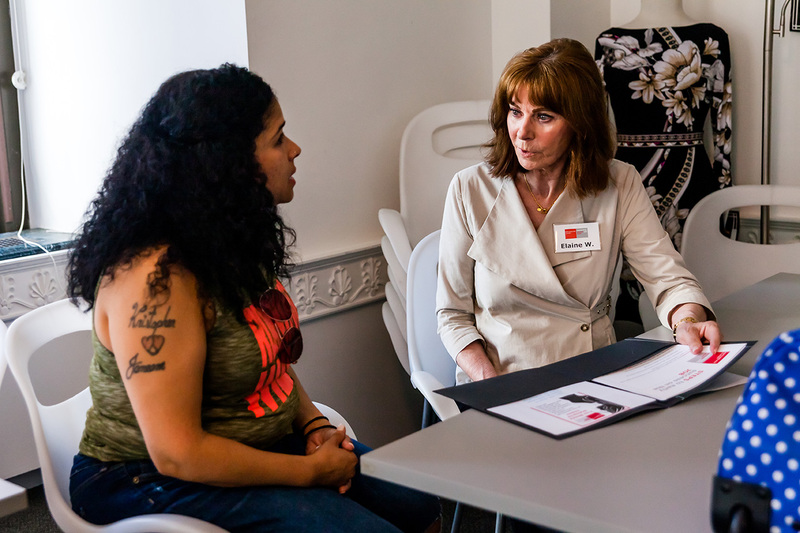 Upon arriving at Bottomless Closet, each woman is paired up one-on-one with a volunteer career coach who will handle the duration of the appointment. They will begin in the boutique, where she can pick out professional clothing, shoes, and accessories that will help her give a sparkling first impression. During the second half of the appointment, they will sit down together and review her resume to make sure it best reflects her individual skills and qualifications. Our in-house resume experts will update her resume in real time, so she can leave Bottomless Closet with brand new copies printed out as well as on a flash drive that she can keep. While her resume is being updated, her volunteer career coach will conduct a mock interview with her. Together, they will tackle everything from the importance of shaking hands and making eye contact, to how to deliver your personal elevator pitch and best answer all the tough interview questions without getting flustered. They will practice highlighting her strengths and weaknesses, citing examples from her past work experience to demonstrate various skills, and even getting comfortable messaging things like a gap in employment. By the time she leaves Bottomless Closet, she will have everything she needs to ace her interview and get the job. If she doesn’t get the job on the first try, she can come back for additional coaching before her next interview. If she gets the job, she can come back to pick out additional clothing so she’ll have a nice foundation wardrobe as she starts her new job. Everyone who comes through our doors also gains access to our selection of workshops, whether they get the job or not. 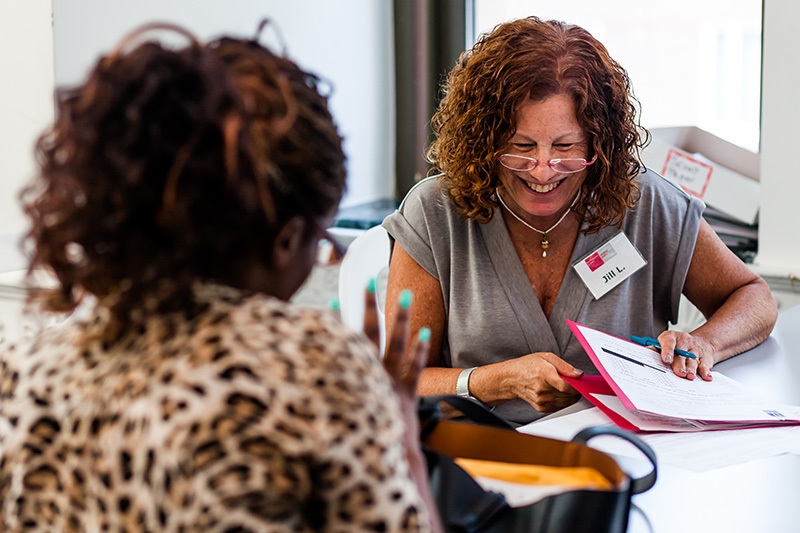 Bottomless Closet offers a wide variety of workshops in the areas of Financial Management, Professional Development, and Personal enrichment — all aimed at making the transition into the workforce and the path to self-sufficiency that much smoother. Our Financial Management workshops cover everything from banking, getting out of debt and how to understand and improve your credit score, to getting a mortgage and buying your first home. Our Professional Development workshops help women tackle things like how to succeed on the job, the best ways to ask for a raise or a promotion, and how to keep your LinkedIn profile updated. Our Personal Enrichment workshops offer additional ways to help women thrive on the job, such as yoga and meditation for stress relief, haircare and makeup application, and personal style for the workplace. All workshops are provided free of charge and many include a healthy meal as well. Bottomless Closet also offers a variety of career days and workshops hosted off-site by our corporate partners, where women can get an inside look at different industries and career paths, and get additional advice and coaching while further practicing their networking skills. Past hosts include Google, InterContinental Hotels Group, L’Oreal, Simon & Schuster, iCrossing, Con Edison, Popular Community Bank and more. The women we serve can also earn certificates for both our Financial Management and Professional Development workshop series, which are awarded each year at our annual graduation ceremony.